Inspired by a morning report discussion from our very own Lara Vanyo on preoxygenation strategies, I thought it would helpful for a brief run-down on the button-pushing needed to perform preoxygenation by way of noninvasive ventilation. 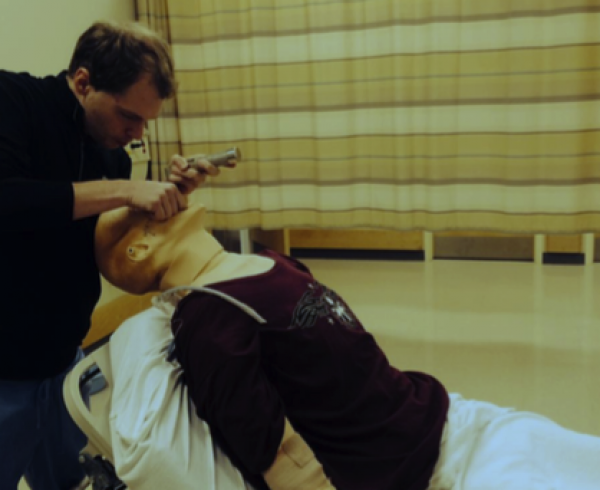 The video below is specific to the vents we have at Sinai–Weingart and Elmer have already shown us how to do the same at Elmhurst on EMCrit. Introduction: The pressure control settings and pressure support settings are the two parts of the NIV settings. The pressure control part runs in the background delivering breaths when the patient is not triggering. 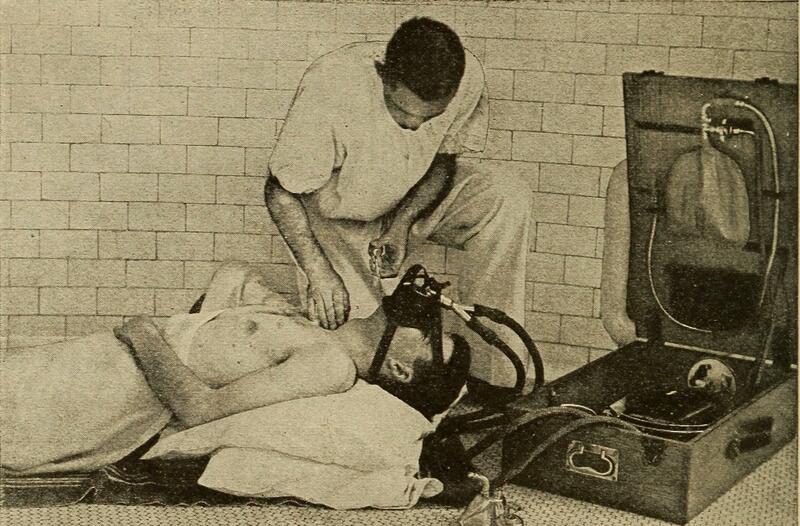 The pressure support settings are used when the patient triggers a spontaneous breath. Rate: Especially important in the hypercapnic patient to control the CO2. The above setting is at 18 breaths per minute, but can be whatever you want. Pressure Control Settings: This section is for the controlled breaths. PI is the inspiratory pressure that is above PEEP. TI is the inspiratory time that determines how fast a breath is delivered for a pressure control breath. The above setting is IPAP 13 cm H20 and PEEP 3 cm H20 (the PI is above PEEP). The time for controlled breath is 0.9 seconds. 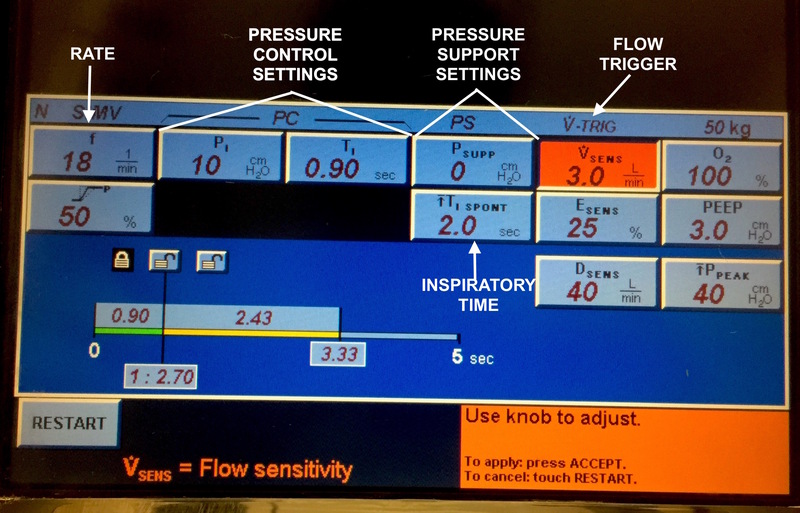 Pressure Support Settings: This section is for the spontaneous breaths (hence support) taken by the patient above the background controlled rate of pressure control. 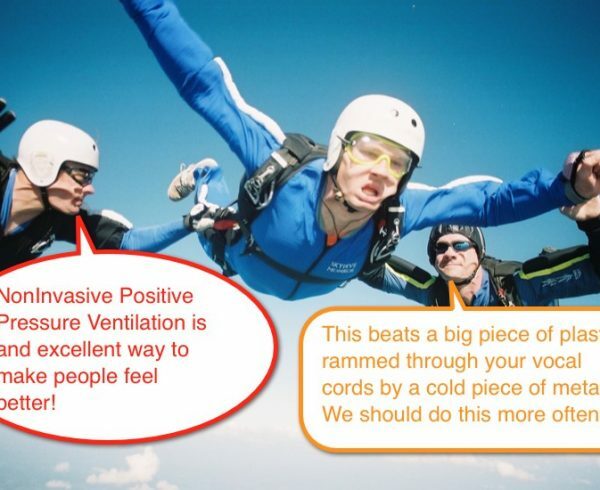 Psupp is the support given to the patient in addition to the spontaneous breath. TI SPONT is the inspiratory time for a supported breath (in contrast to TI of the aforementioned pressure control breath). It is reasonable to set this somewhere between 2.0 and 3.0 seconds depending on patient comfort. Flow Trigger: VSENS is the flow trigger threshold required prior to breath delivery. 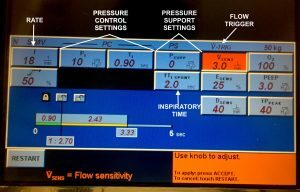 Why pressure control versus volume control for noninvasive ventilation for preoxygenation? 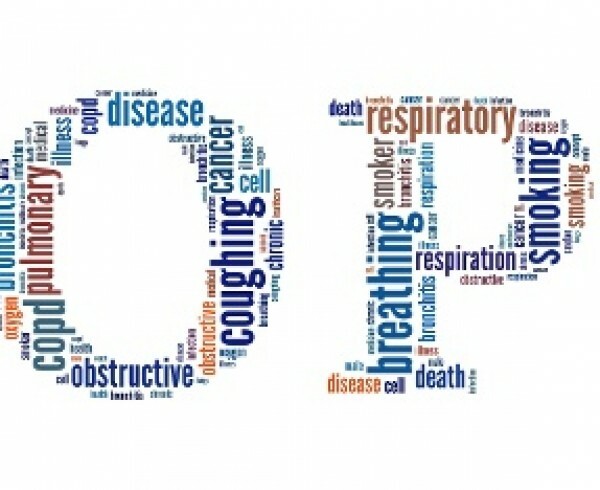 After discussing with our respiratory therapist, Judah, volume control is less ideal in noninvasive compared to invasive ventilation as the potential for mask leak in noninvasive introduces potential to inadequately ventilate the patient. Thanks to Judah, our respiratory therapist, as well as to Dr. Courtney Cassella for the assistance. 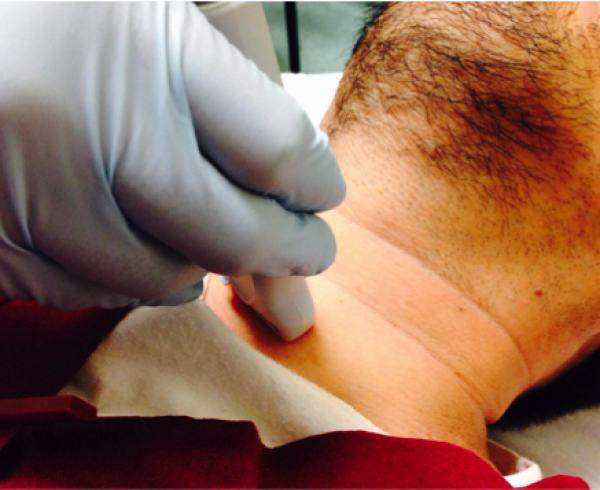 Use ultrasound for confirmation of endotracheal tube intubation! 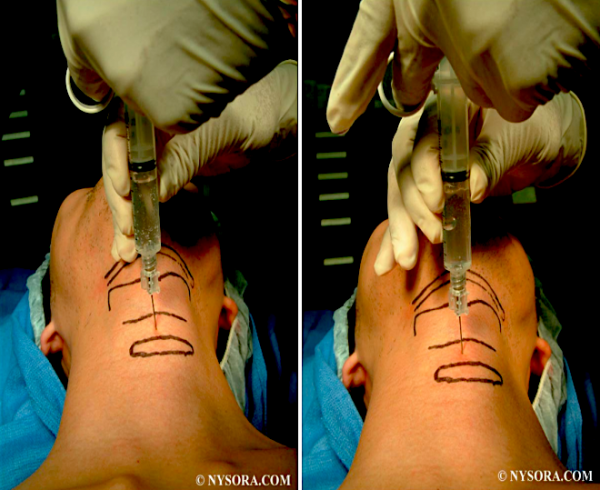 Are you raising the head of the bed for your intubations?